of the licensed Music Together Preschool program. Music Together Preschool program at schools in Ithaca. 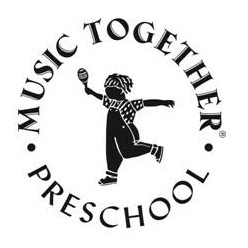 As part of the Music Together Preschool program, Music Together specialists teach music and movement classes weekly in cooperation with classroom teachers. Classroom teachers then follow through on the weekly sessions, adapting activities to their curriculum needs and interests. Recordings, songbooks, and teaching materials are provided to each classroom, and children “bring the music home” for parent-child musical play, sharing the songs and activities learned in school. Children learn from the model of music participation set by both parents and classroom teachers, and the joy of extended family music in school and at home creates a natural circle of learning that builds parent-child, parent-teacher and parent-school relationships. The Music Together Preschool program provides children with the opportunity to learn music in developmentally appropriate ways; supports cognitive, emotional, social, and physical development; gives parents enjoyable and significant ways to relate to their children; engages at-risk children; and enhances happiness and well-being in your school community.